Qadry Ismail played wide receiver for the Ravens from 1999-2001. I'd just come off of playing the Pittsburgh Steelers and had a career game, where I caught six passes for 258 yards and three touchdowns. It was one of the all-time greatest games in NFL history; I think it was like top-six at the time. I get into the locker room and guys are like, "Yo, that's No. 87 Qadry Ismail, OK, we've got a guy that we can rely upon." So we're playing the Cincinnati Bengals the next home game, and the offense is being introduced. I'm the last guy out, and sure enough, Ray, before he goes on the field with the defense, he just comes up to me. And I was looking straight ahead, and he just turns with the intensity in his eyes and he just simply says, "You do what you do." And he just ran out onto the field. For the leader of the team to validate me as his teammate, it meant a lot. 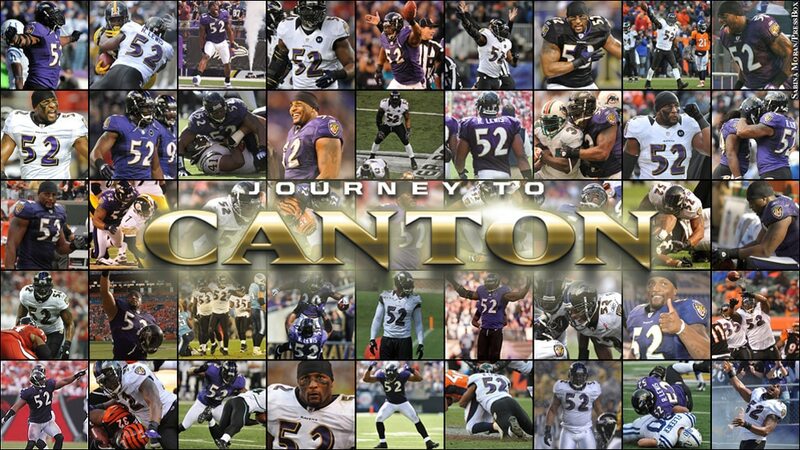 And it just set the tone for me, as far as just being a Baltimore Raven. And so from that point forward, I wound up having another good game, had like three games in a row where I really put together a good run of stats and we were winning games, but it was the start of something. That was 1999, and obviously, the next year, we went on to win the Super Bowl. But to be the go-to wide receiver, I knew that I had to do something to establish myself. And I did, and it was validated by the leader of the team in Ray Lewis.